Nestled amid the region’s 2.1 million acres of public land are world-class visitor centers built with clean energy principles. Explore educational exhibits, learn about sustainable energy practices and conservation, view wildlife, and orient to the region with traveler services. PA Wilds high performance visitor centers all offer educational displays and interpretative signage to help guests learn about the region and geography, our ecosystem, history and culture, and the surrounding natural forest. Different visitor centers offer unique and exciting experiences - such as the Kinzua Bridge Skywalk - named one of the Top 10 Most Beautiful Skywalks in the World by Culture Trip, U.K. The Kinzua Sky Walk is an engineering marvel offering stunning views of the vast Kinzua Gorge from 225 feet above the forest floor. The Elk Country Visitor Center offers visitors the chance to see our wild elk herd up close and personal at select times throughout the year. Other visitor centers provide exciting wildlife viewing opportunities. 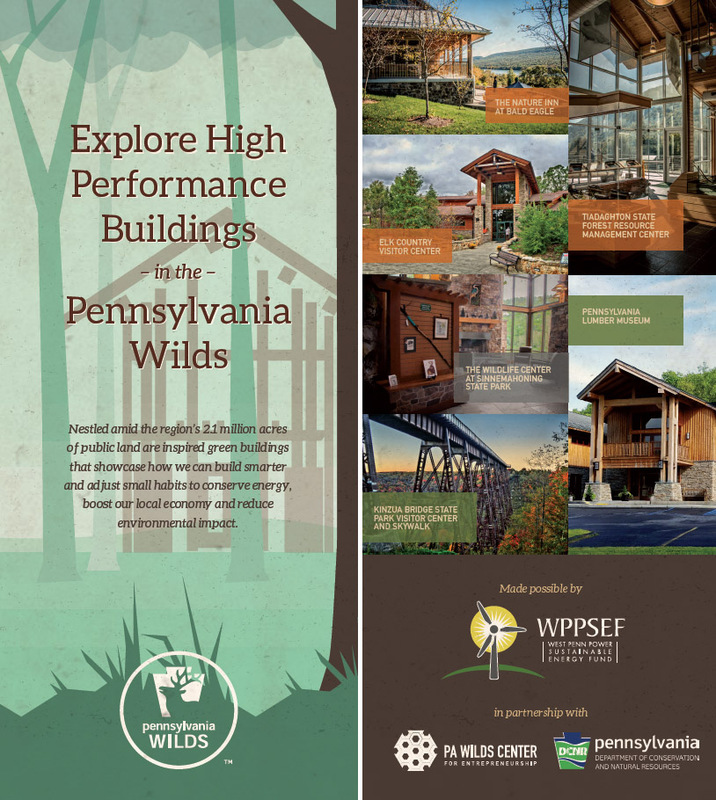 High performance visitor centers in the PA Wilds serve not only as destinations, but as launch points to explore the rest of the region. Visitor Centers offer travel planning materials, brochures, and maps and knowledgeable staff to help guide your Pennsylvania Wilds journeys. Explore our directory of clean energy visitor centers, and download a printable brochure. The Pennsylvania Wilds is proud to be home to close to half of the PA Department of Conservation & Natural Resources’ LEED (Leadership in Energy & Environmental Design) certified buildings. These facilities offer inspiring takeaways for how we can all be better stewards of our precious natural resources, and provide exciting and educational experiences for visitors. Pronounced "kin-zoo," by local residents, and "kin-zew-uh" in the Seneca language, a road trip through Kinzua country is an experience rich in Native American history and modern advances.